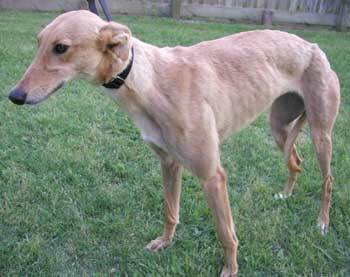 Dottie, aka Turbo Dot Net, is a petite almost 2-year-old red female, born July 22, 2001. Dottie is a little shy, but playful in a yard environment and with toys. She weighs only 53 pounds and has eyes that will draw you in! 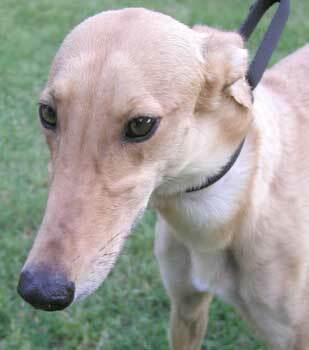 Although she gets along well with other greyhounds, she is not cat or small animal tolerant.